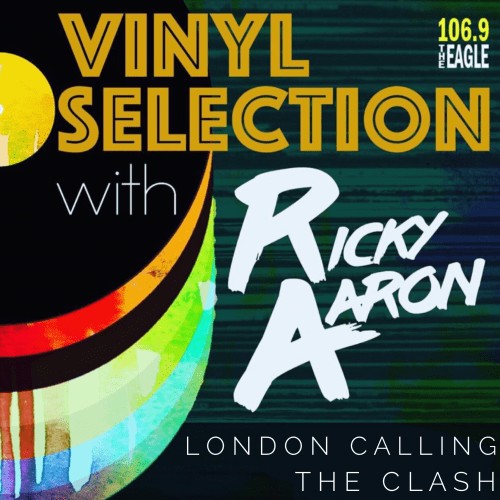 Released in the UK in late 1979 and early 1980 in the US, the third album by The Clash was make or break. Heavily in debt and writing the material in Mick Jones’ Grandmother’s apartment, the group teamed up with Producer Guy Stevens to create one of punk rock’s (music in general) most iconic albums. Oddly enough, the group were steering clear of the “Punk” label by 1979. Touring the US that year, the group went more of a blues and R&B route, choosing the legends like Sam & Dave and Bo Diddley to open their shows. That fusion of sound would greatly influence this album. Using R&B, reggae, jazz, and a variety of other styles, the album would come into it’s own as a genre-busting masterpiece. 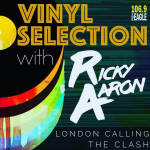 From the title track to the originally unlisted and last minute ‘Train in Vain’, join Ricky Aaron as he guides you through “London Calling” for this week’s Vinyl Selection!